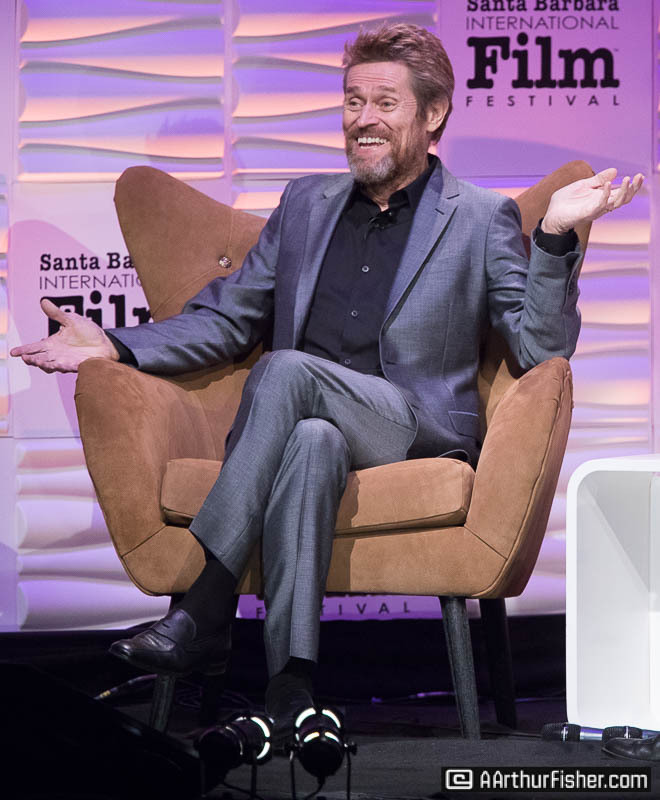 Willem Dafoe is a gentle, quiet man. 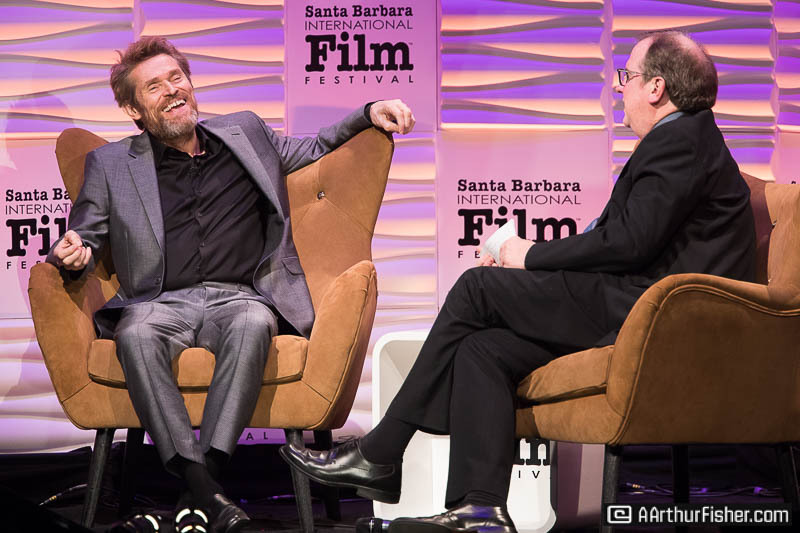 You would not guess it from his choice of acting roles, easily playing a sinner or a saint – but mostly a sinner. 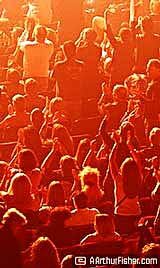 But one thing is undeniable – his talent. 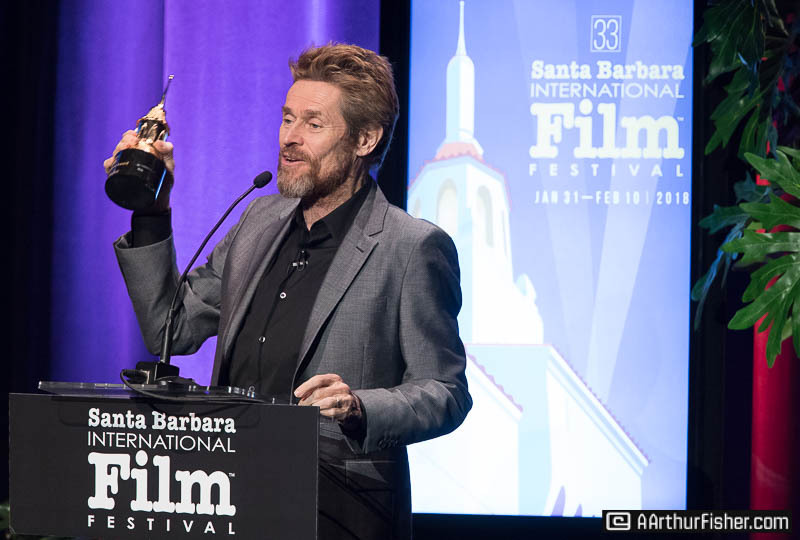 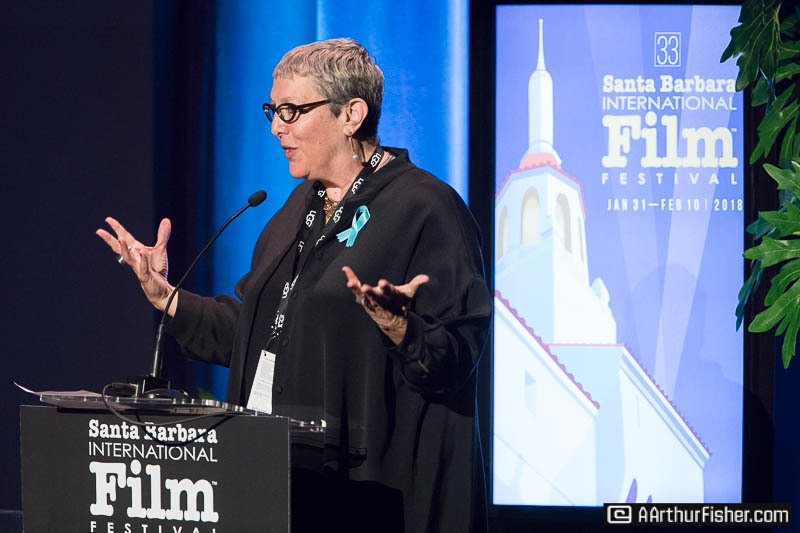 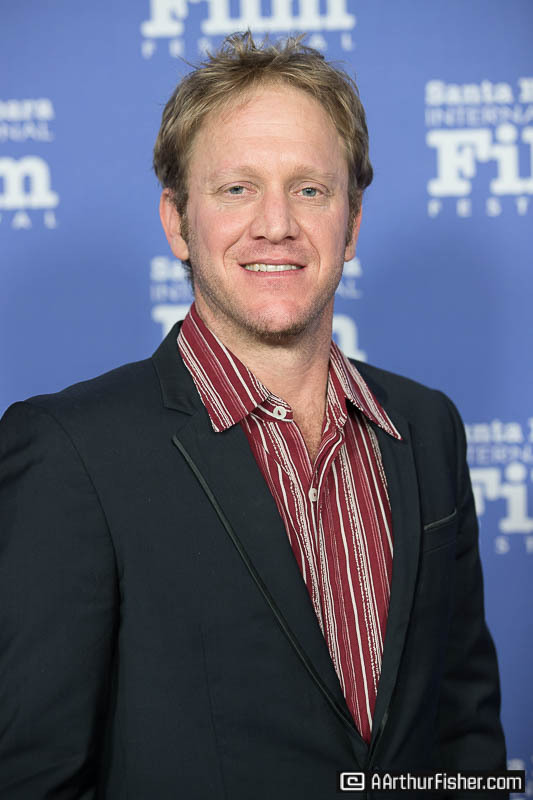 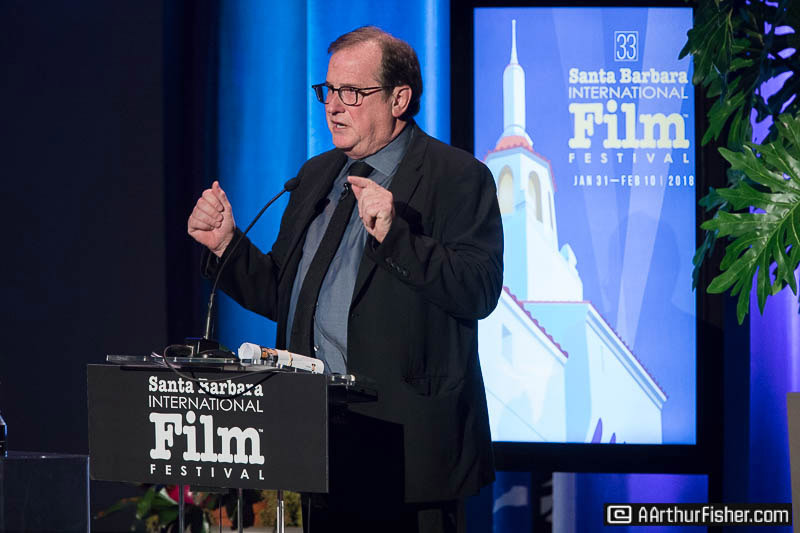 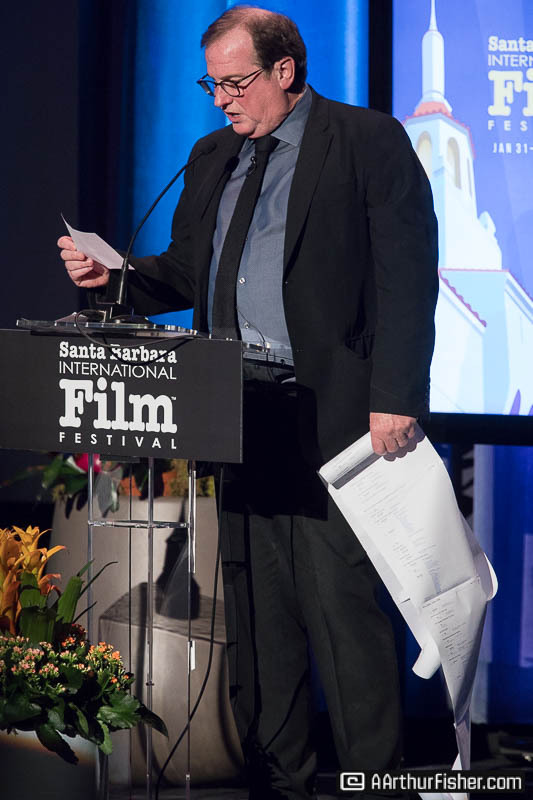 Santa Barbarians recognized this as they came together to celebrate the veteran actor as he accepted the Cinema Vanguard Award at the 33rd Annual Santa Barbara International Film Festival for his portrayal of a slum motel manager in The Florida Project. 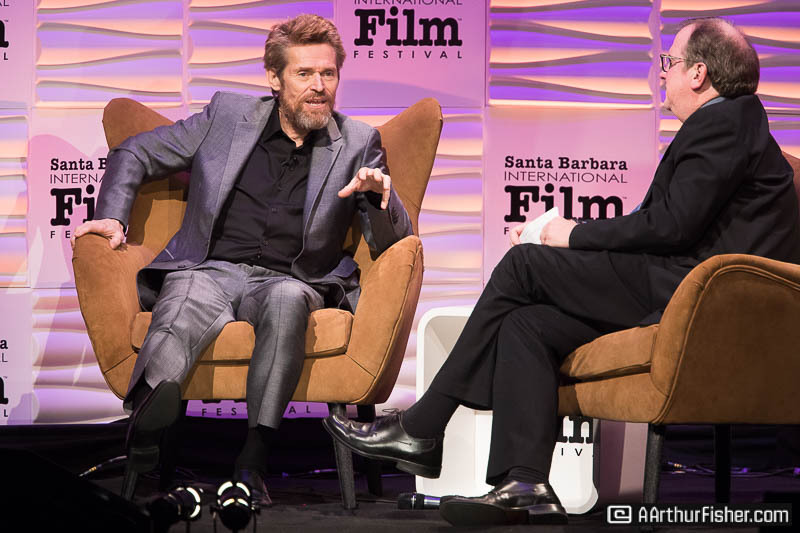 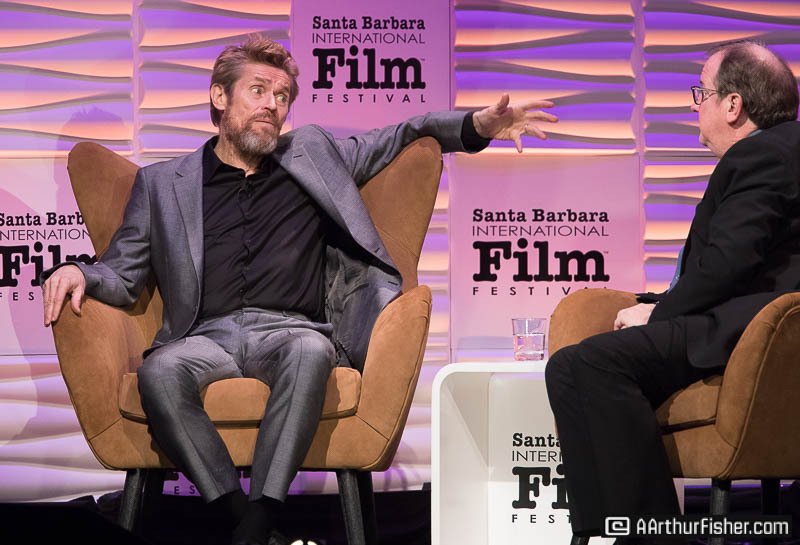 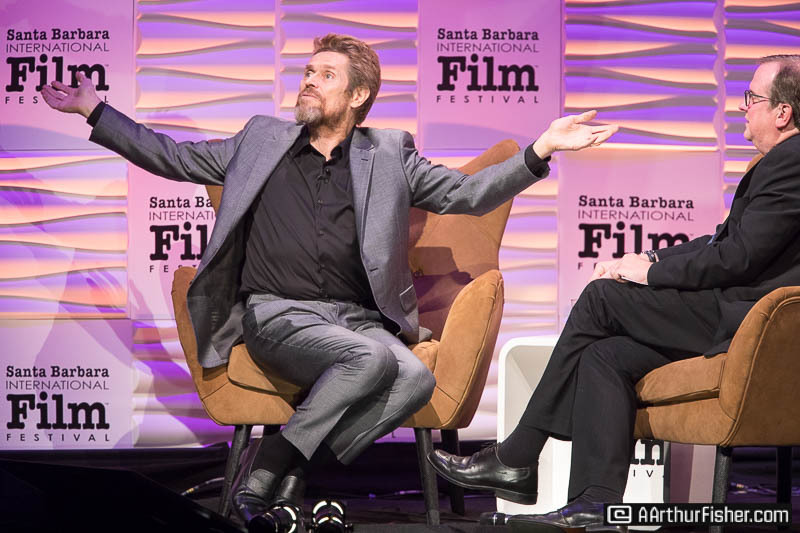 “When you are not a handsome man, you get character roles; when you are young, these characters are villains,” Dafoe says of his various portrayals of seemingly bad guys. 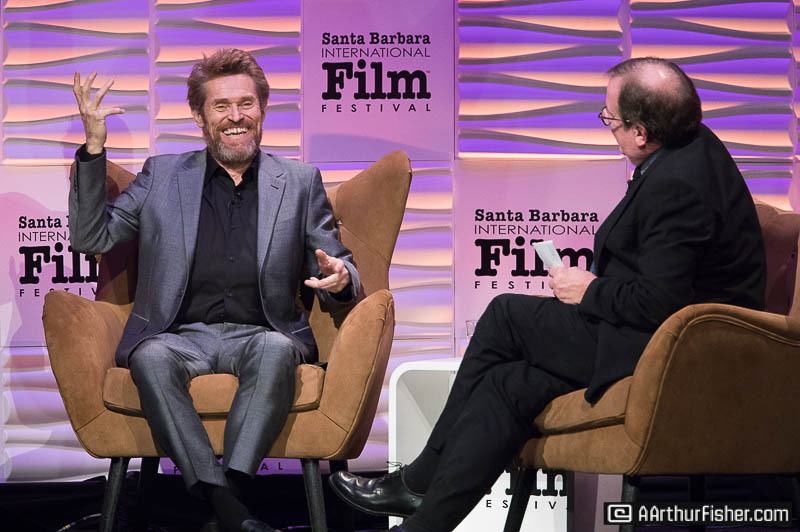 Willem Dafoe’s acting resume reads like a holy scroll, easily spanning 6 feet if you let it, as demonstrated by the evening’s moderator Peter Hammond. 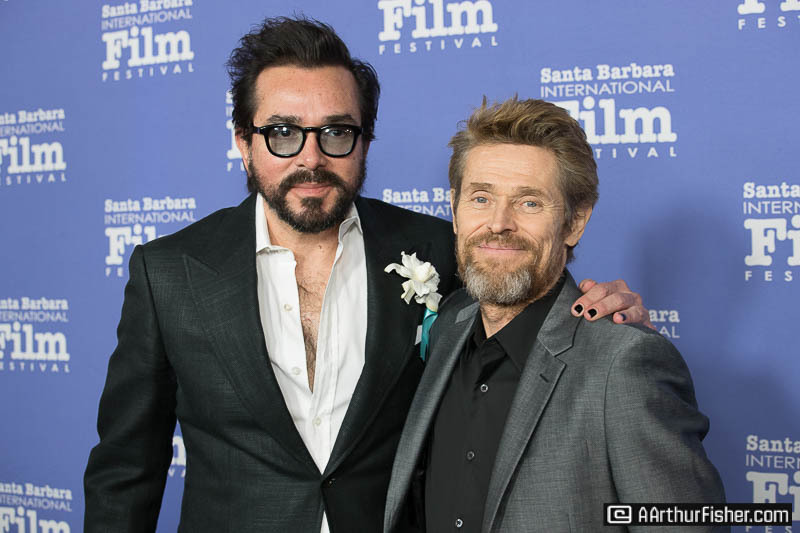 The list includes Platoon, The Last Temptation of Christ, Born on the Fourth of July, Mississippi Burning, The English Patient, The Boondock Saints, Spider-Man, and Finding Nemo to name a very small bit off the scroll. 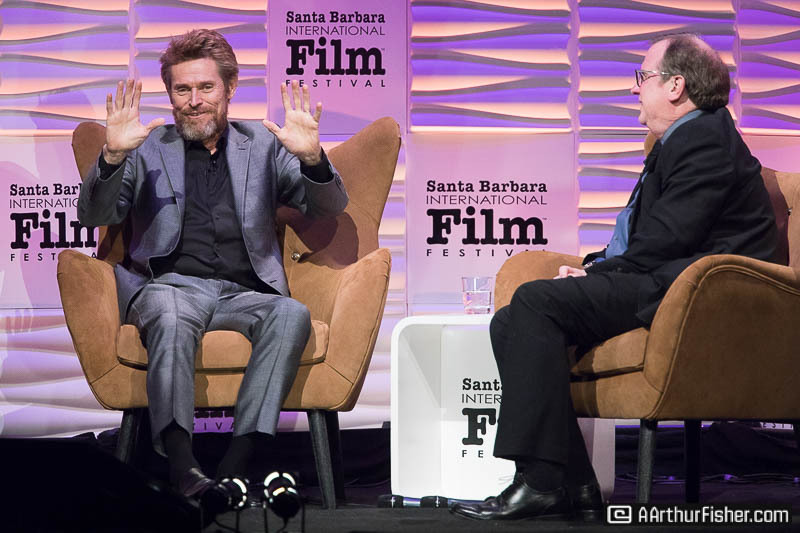 “I see these films, and they bring back memories… the smells, the place” Dafoe offered as Hammond went through the various reels of his work. 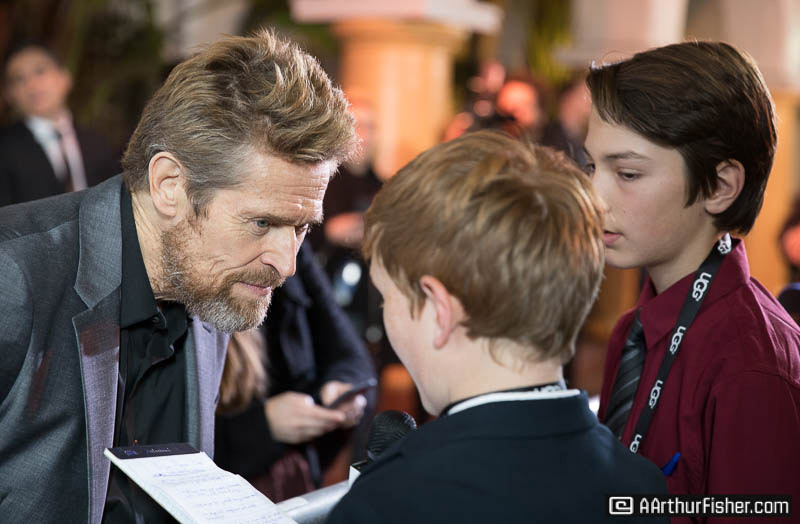 The youngest of eight children raised in a small town in Wisconsin, Dafoe admits that he came into acting slowly. 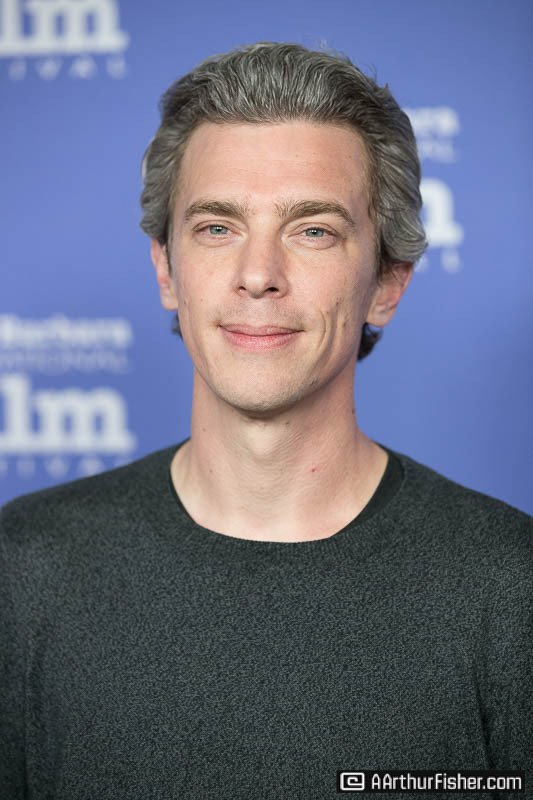 The town had a good community theater and he took small parts until eventually heading off to join an advent-garde theater group in New York, which he continued to use as a home base for 27 years. 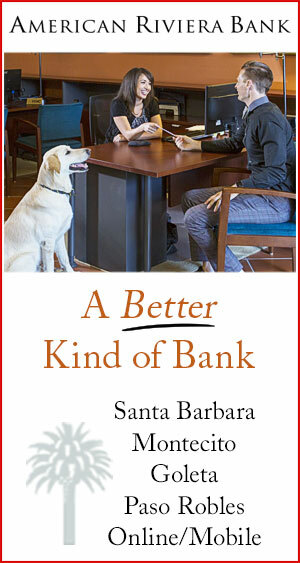 Admittedly, it it was a modest living. 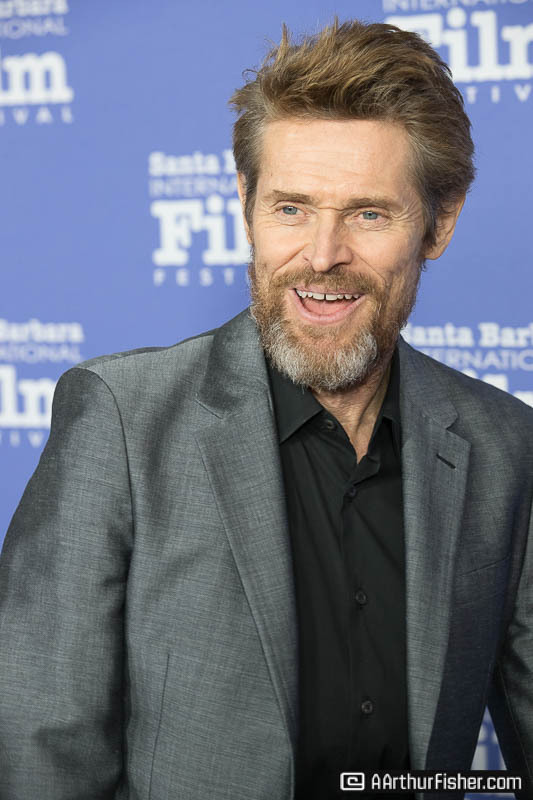 Dafoe likes to be physical in his performances which he attributes to his theater background, “there is a quality of committing to the doing.” In many of his films, Dafoe performs his own stunts and relies on the reality of actual physical hits, literally. 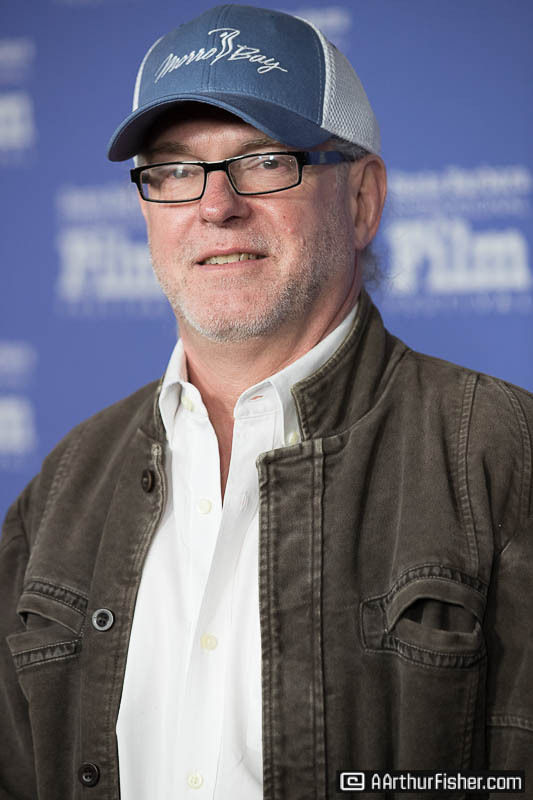 During a reel of Mississippi Burning, Gene Hackman slaps Dafoe’s character, “he really whacked me… but I’m ok,” Dafoe joked. 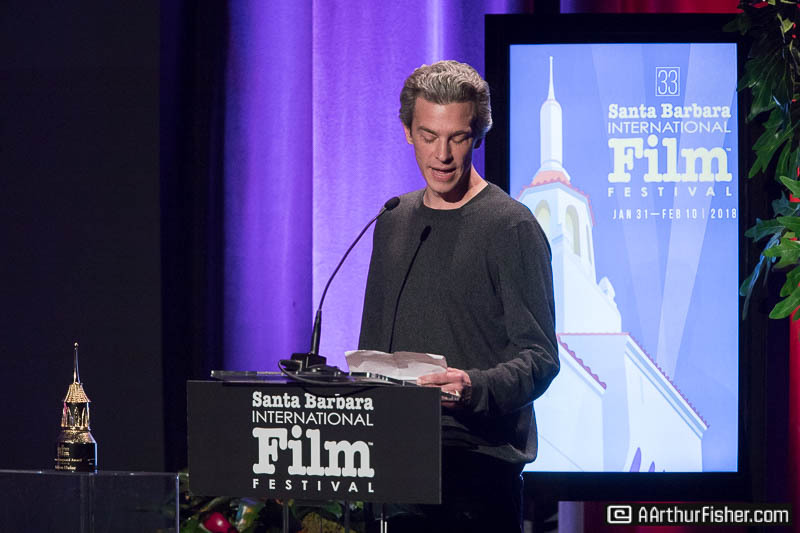 As the evening came to end, the humble actor accepted his award from Josh Boone, director of The Fault in Our Stars. 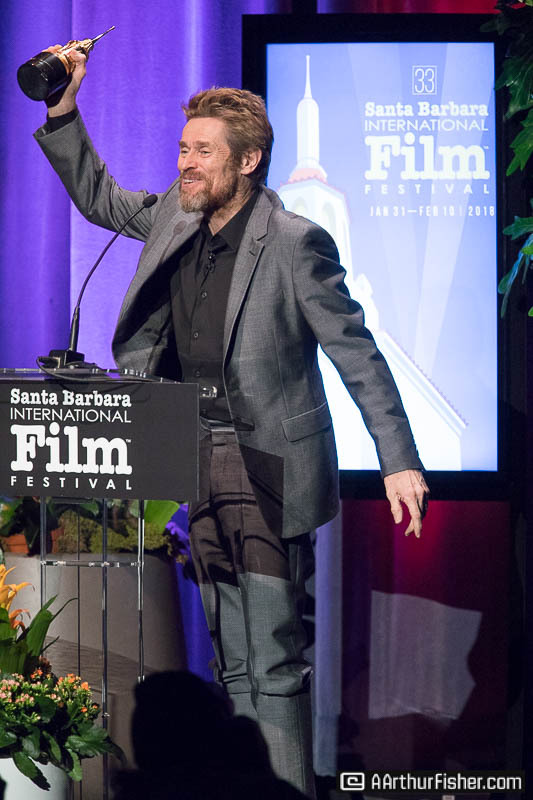 Boone acknowledged directors have used Dafoe to such extremes, again the gamut of saint to sinners. 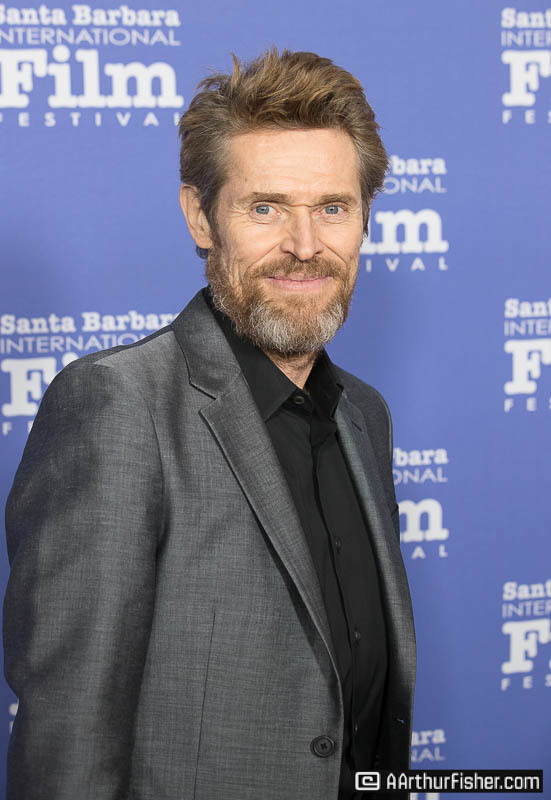 But gentle Dafoe would have no other way.